Hey everyone! I have another DIY for you. A few days ago I posted about Taming Unruly Tangled Hair. This post is similar to that one. The exception being that not only is this a pre-shampoo conditioning treatment but it can also double as a body cream. I am always up for a double duty product. I just whipped up a fresh batch and thought I would share it with you guys. Its such an easy and fun recipe. 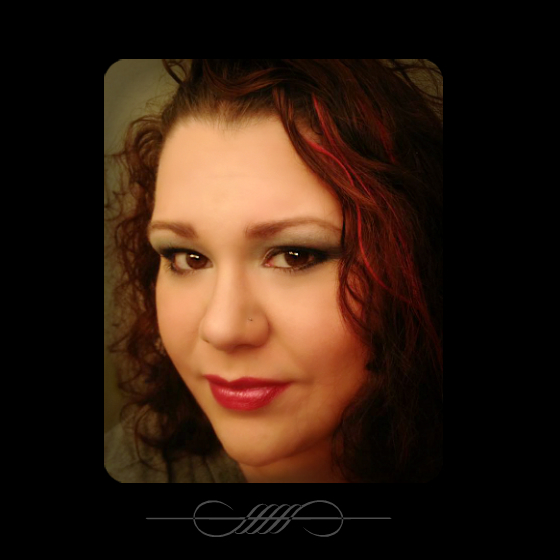 You can choose what ingredients will work the best for your hair care needs. So feel free to play with it until you get it the way you want. Before we begin I would like to tell you the benefits of using each of these ingredients in this whipped coconut oil recipe. -Promotes hair growth by stimulating your scalps capillaries to increase circulation. Thus, it increases hair growth. -Vitamin E Oil also helps prevent pre-mature graying. It increases the amount of antioxidants on the scalp and that slows the aging process. -It also prevents split ends, makes your hair shine, while also improving the quality and texture of your hair. - Prevents and cures hair loss. - Nourishes scalp by moisturizing and healing dry scaly scalp. - Has antibacterial/anti-fungal properties that help fight common hair and scalp problems. - For any of you with school aged children, Olive Oil can help prevent head lice. - Increases hair growth because it contains Ricinoleic acid and Omega 6 essential fatty acid. Which increases blood circulation to the scalp and increases the growth of hair from the follicles. - Fights scalp infections and dandruff with antibacterial/anti-fungal properties. - Prevents split ends through moisturizing. - Coconut Oil is rich in lauric acid, has a high affinity for hair protein, and easily penetrates inside the hair shaft. - Coconut oil has a high moisture retaining capacity, keeping hair moist and soft, which prevents breakage of hair. - It prevents baldness and gray hair. Many of these have the same healing properties, so don't feel like you have to use them all. I choose too because I had them on hand and figure it couldn't hurt. You can also add an essential oil if you have one on hand to give the whipped coconut oil any fragrance you want. I didn't have any so I chose to use 1 tablespoon of my Herbal Essences conditioner. I love the smell and I just added enough to give the whipped oil a nice scent. The small cup just has some Herbal Essences conditioner in it. I bought this air-tight container at the Dollar Tree. This is a big container and you can use a smaller one. 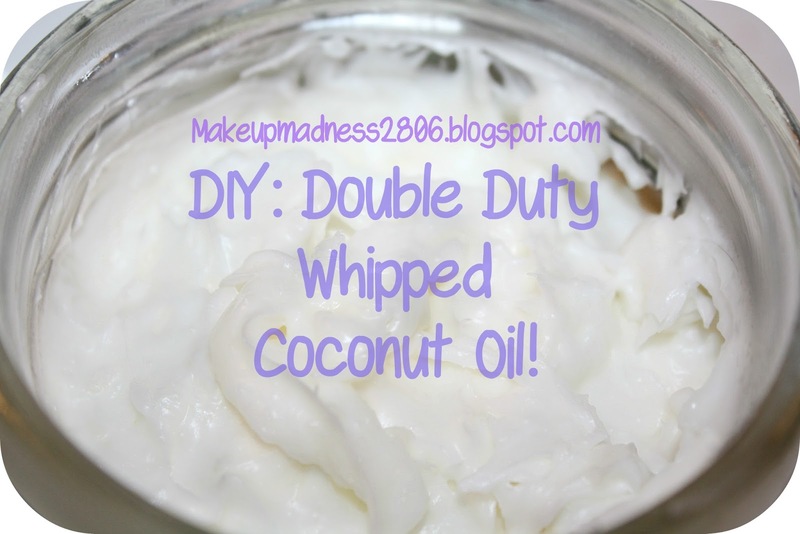 I use this whipped Coconut oil a lot so I like having a bunch on hand. 1. 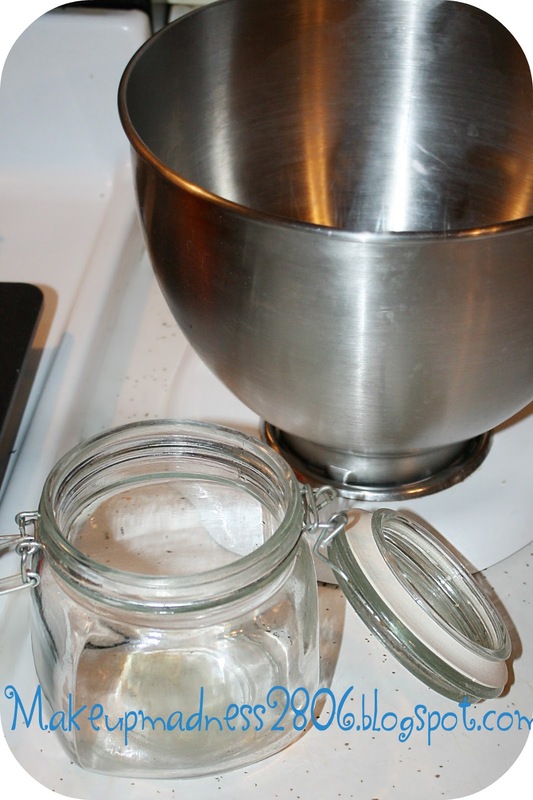 Scoop out your desired amount of Coconut Oil and place it in your mixer. I used 2 cups of Coconut Oil. If you want to make a smaller batch just use 1 cup. 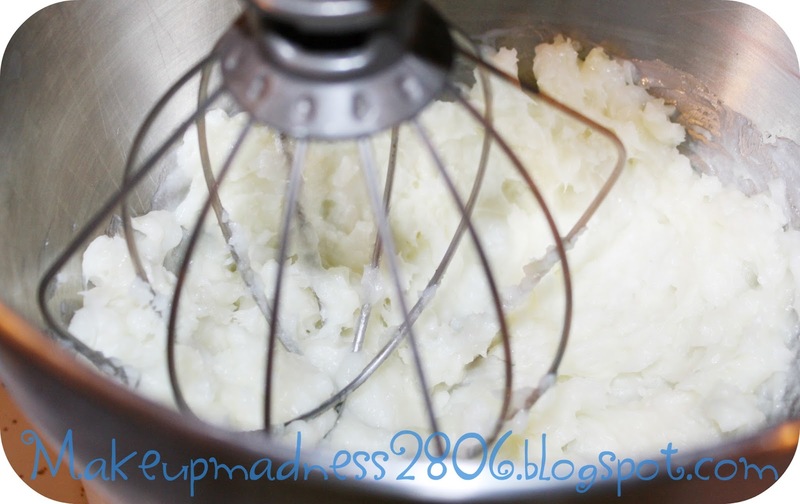 You can mix this by hand but be prepared to spend around 5-10 minutes mixing by hand. 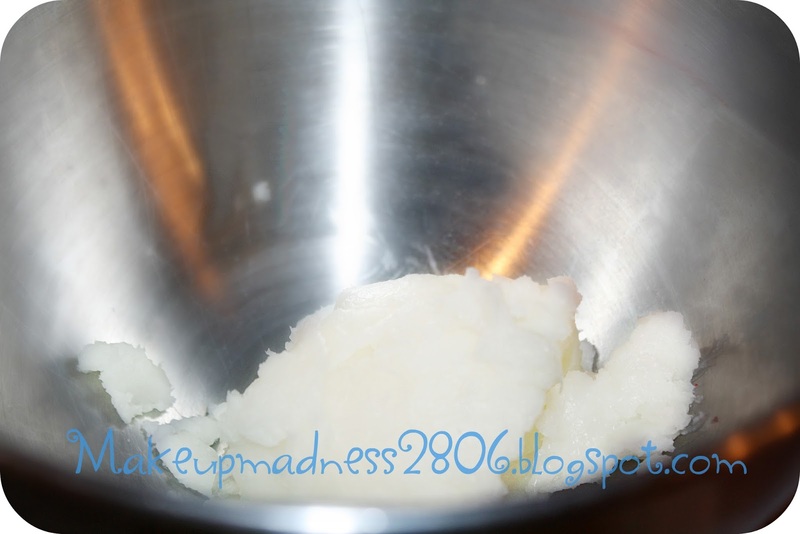 - Also, you want to have your coconut oil at room temperature for this recipe. It cannot be in a liquid or hard solid state. 2. 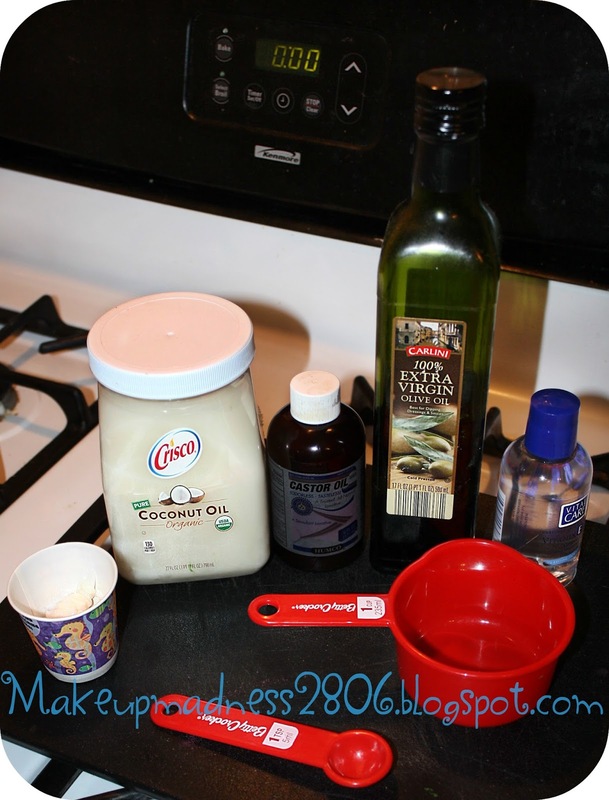 Add 1 Tsp each of Olive Oil, Vitamin Oil, and Castor Oil to your mixing bowl. 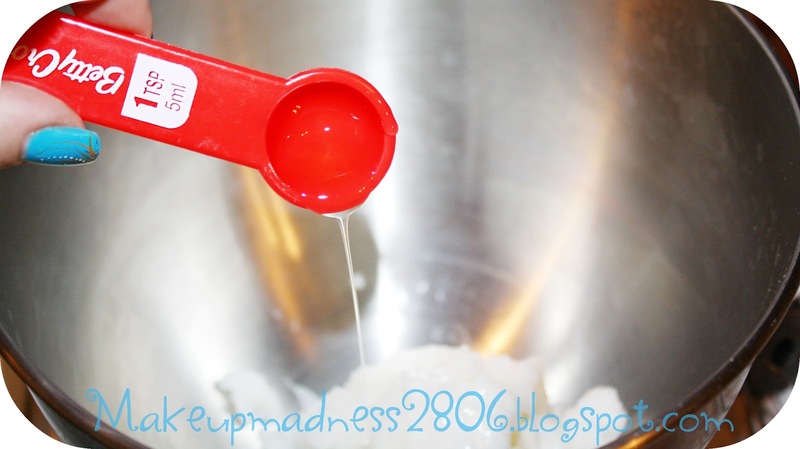 This amount is still fine if you are only using 1 cup of Coconut Oil. 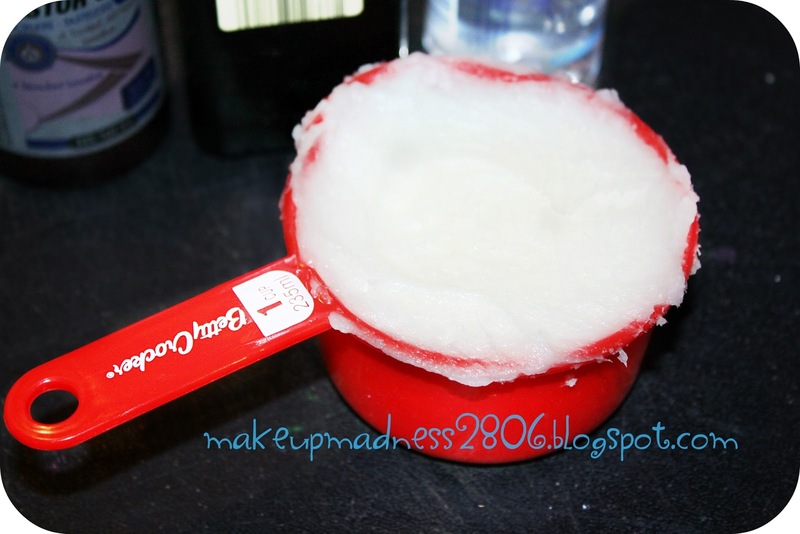 This is when I added the 1 Tablespoon of Herbal Essences hair conditioner. If you want to use conditioner add it now also. 3. 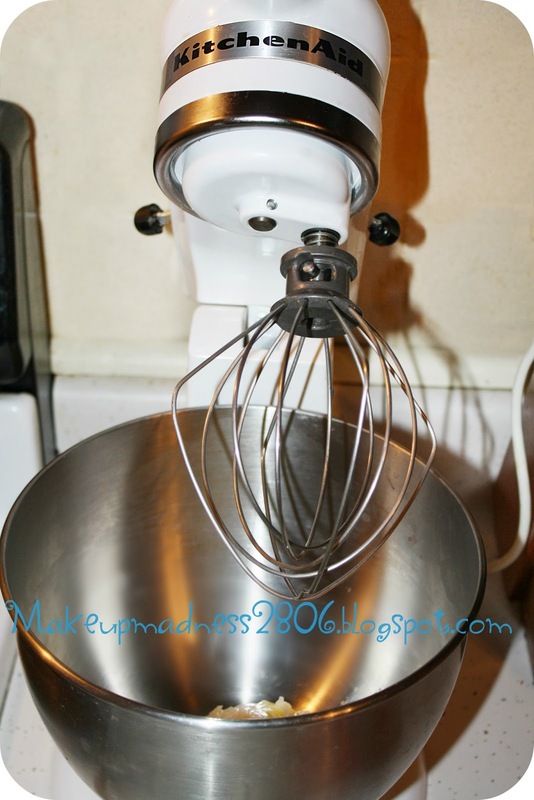 If you have a Kitchen Aid mixer use your whipping blade. If not, regular beater blades will work on a hand held mixer. 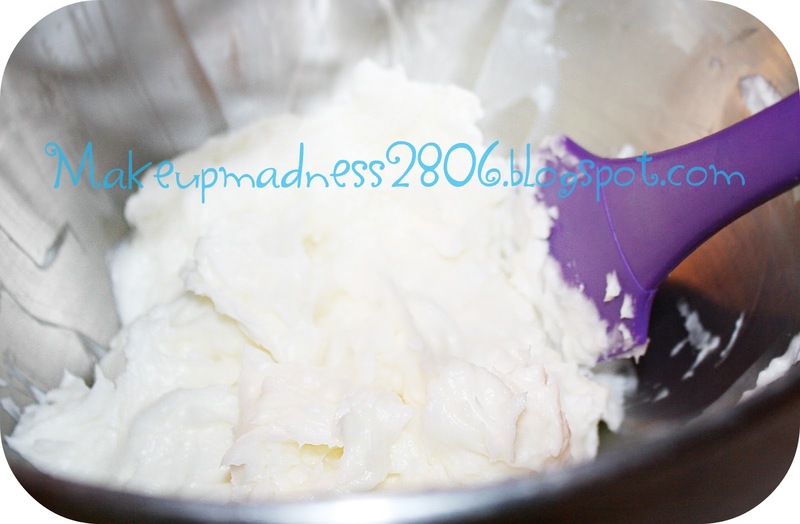 I used the highest setting on my mixer (10) and mixed for 2 minutes until I saw the coconut oil mixture begin to form whips and it appeared fluffy. Depending on your mixer it could take less or more time to finish. - Be sure to scrape your bowl about half way through, to insure that you have all the ingredients incorporated. The coconut oil likes to hug the side of the bowl when you first put it in. - This is what it should look like when its done. 4. 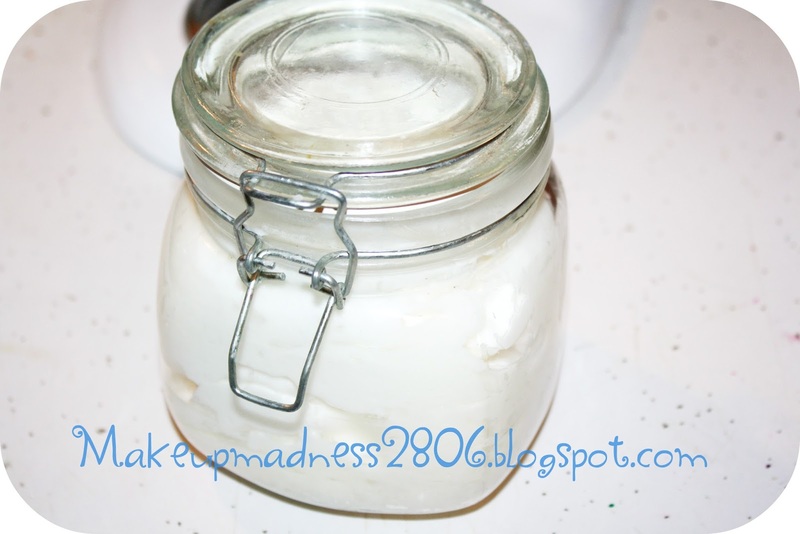 Now take a spatula and transfer the Whipped Coconut Oil to your container. - It comes out so fluffy. I just love it! - Try not to over fill your container. You don't want it to get all over the lid when you close it or you will have a big mess over time. - It will melt very rapidly once it touches your hands. So there is never a need to heat it up. In a few days it will harden slightly, that is normal and it is still safe to use. - This is great for dry skin on the elbows and ankles, as well as any where else you want to use it. A little goes along way for a moisturizer and I find that this form makes it easier to apply as a hair conditioning treatment as well. 1. Apply from roots down, paying special attention to the end of your hair. 2. Cover your hair with a shower cap or saran wrap. 3. You can either leave it on your hair over night and wash it out with shampoo in the morning or you can apply heat for 5-10 minutes with a blow dryer and then wash it out after. Either way you will get fantastic results. Thanks for stopping by and reading. I hope you will give this treatment a try and that you love it as much as I do! DIY for Younger Looking Hands. Super Duper: New Beauty App! Get Bigger Bolder Lashes Fast! DIY Sand Textured Nails! Super easy. 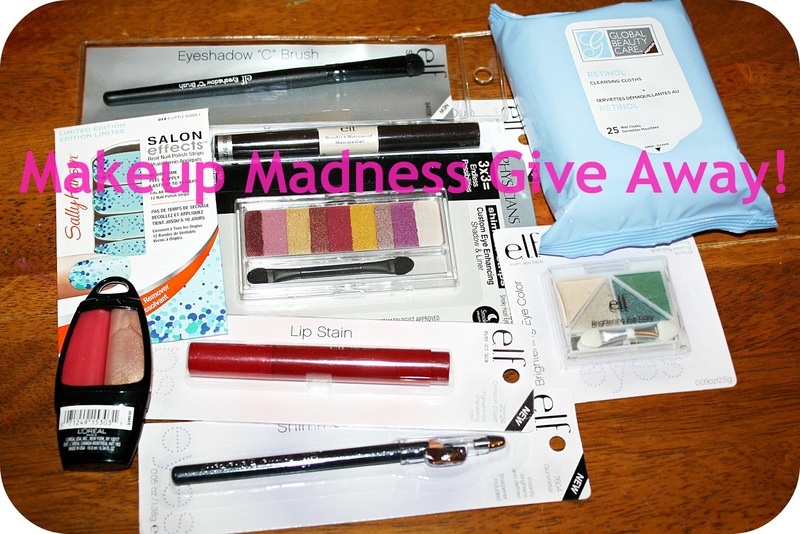 $1 Makeup, Jewelry, and Accessories! Makeup Brushes on A Budget! 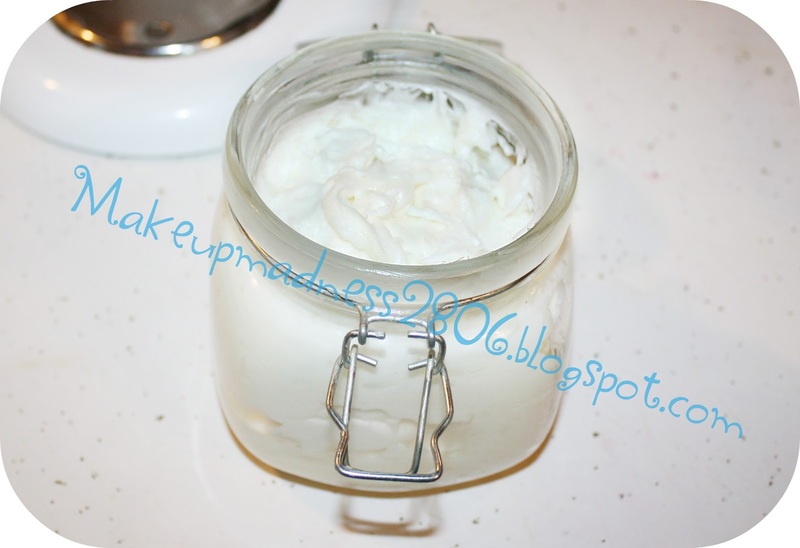 Get Rid Of Dry Skin Fast! e.l.f. 's New Brushes have Arrived.